WASHINGTON - Ready or not, here he comes. Alex Rodriguez finished a mostly successful spring training by striking out in all three of his at-bats in the Yankees' 4-3 exhibition victory over the Nationals on Saturday. Rodriguez was booed heavily in his first appearance in a major-league ballpark since he was suspended for the 2014 for his role in the Biogenesis scandal. 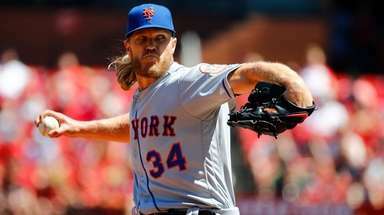 His next will be Monday at Yankee Stadium on Opening Day against Toronto. "What's better than Opening Day at Yankee Stadium?" a beaming Rodriguez said after the game. Asked what he was doing at this time last year, he said: "I wasn't having this much fun." Rodriguez, who is expected to bat seventh on Monday as the designated hitter, finished spring training with 12 hits in 45 at-bats (.267). He hit three home runs and struck out 13 times. "I don't care where I hit," he said. "I'm just here to help the team win . . . I'm going to have some challenges along the way, I'm sure. There's going to be some good days and some bad days. But the one thing I'm going to do -- I'm going to enjoy every moment." Rodriguez struck out swinging all three times, twice against Doug Fister and once against Craig Stammen. Both are righthanders. Asked if it meant something to play in a big-league ballpark, Rodriguez said: "Of course it means something. After my last two years, it means the world to be back in a major-league stadium. I can't tell you how grateful I feel to have the opportunity to be back playing baseball." 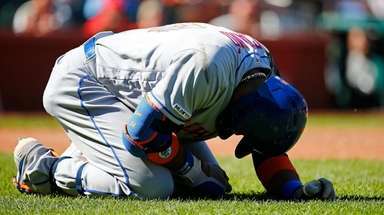 Of the boos, Rodriguez said: "I'm almost numb to it. I've definitely heard much worse. I think the biggest reaction was when we were running sprints before the game and they announced my name. I was like, 'Wow, that was loud.' Sometimes you can't figure out if it's boos or cheers. Certainly were a lot of boos, I guess." The crowd reaction Monday probably will be mixed. Rodriguez said he doesn't know what to expect, but he again threw some bouquets at the paying customers. "We do play in front of the smartest, most passionate fans in all of sports," he said. "And to be able to come back to Yankee Stadium and call that your office, it doesn't feel like a job. It feels like an incredible blessing . . . 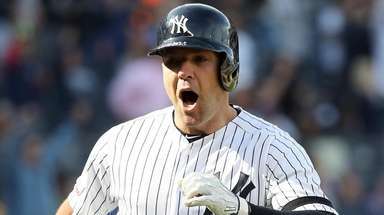 I am excited to be back in pinstripes and trying to help us win."